It’s that time of year, when one day the night suddenly jumps out and spooks you at 6pm, then stumbling in shock you’re accosted for candy by ghouls and goblins. After a Nos Calan Gaeaf (Halloween) spent binging on leftover treats and episodes of Stranger Things we heard the spirit of adventure beckoning us to revisit a walk from 4 years ago – it’s hard to believe it’s so long since that summer night by the campfire, gazing across the Wye river to the hills of Cymru on the other side. So we booked bunkbeds at St Briavels Castle YHA and caught a train to Chepstow just after lunch, optimistically hoping to hike the whole 17km to St Briavels by nightfall. 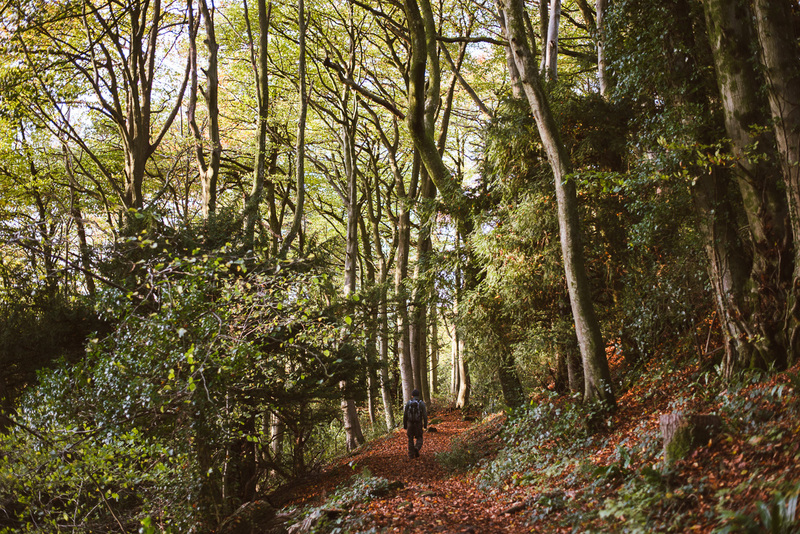 The route goes right along the Offa’s Dyke path, which seems to take you up then down and everywhere around, winding through wilderness and small historic towns. 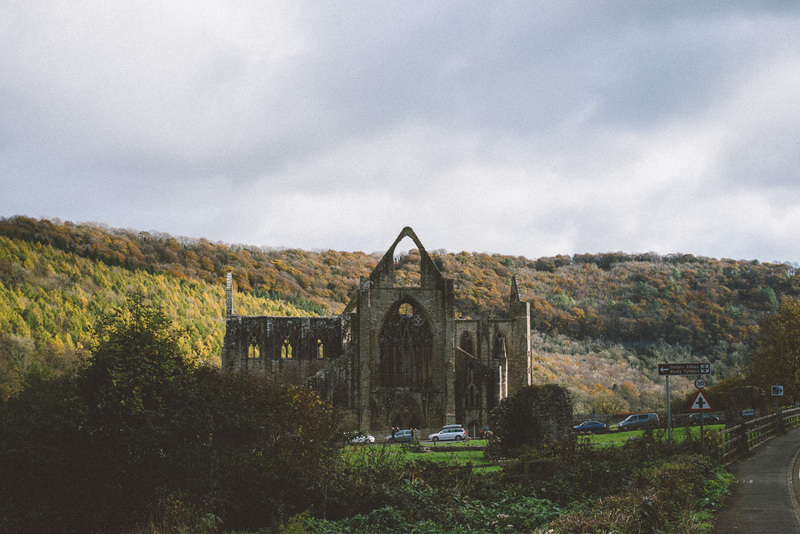 The Offa’s Dyke once formed the border between England and Cymru and walking along it now you can’t help but feel somehow caught between two worlds – caught between the past and the present, between dramatic clifftop vistas like The Devil’s Pulpit and cosy cottages nestled amongst rolling hills. 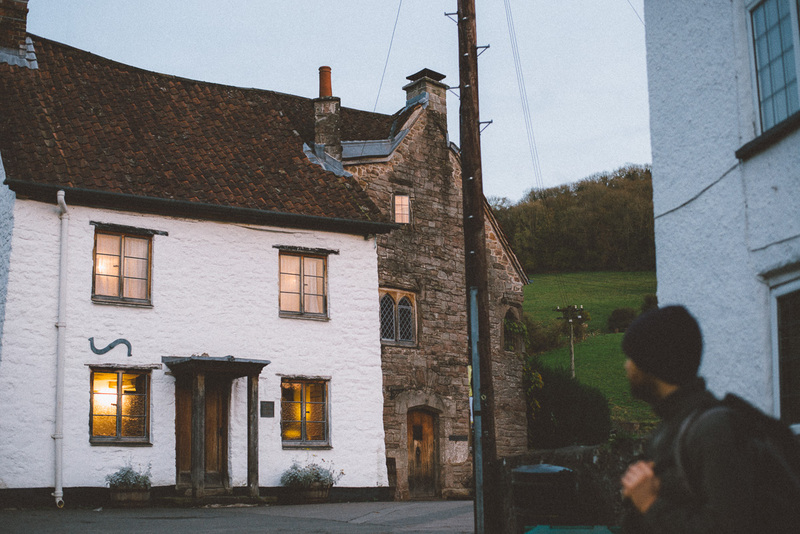 As the sun began to set, an hour’s walk still lay ahead of us and, realising it would be a dark walk either way, we made a small detour for Brockweir – a small town right on the river with the kind of old buildings that make you think of magic and folk tales. After the daylight (and opportunities for photography) had disappeared almost completely, a short walk up the hill led us to a pretty amazing community shop & cafe. Walking up a road flanked mostly by traditional country houses, the light from the windows of this eco-building was like a beacon, and we left filled with optimism (and a delicious cheese and tomato bake). The final stretch to St Briavels was a real treat. We opted for the most direct route, along small country lane, and were led most the way by the full moon, fixed in the sky in front of us. By the time we arrived to the (supposedly haunted) castle, the walls between the worlds were feeling very thin indeed. Are you hoping for some story about a scary night in the castle? We’ll have to disappoint you. St Briavels Castle actually just felt like a very family friendly YHA – when we arrived the staff were playing dress up in mock historic garb and laying on their monthly Medieval feast, and we hadn’t heard any of the ghost stories, so we even managed to brave the night alone – having to sleep separately in girl/boy dorm rooms. After a good night’s sleep, undisturbed by ghosts, we had a hearty breakfast of homemade granola and set off on our journey back down the Wye. The path took us past incredibly old chestnut trees, back through Brockweir, across the bridge to Cymru and down the old railway line towards the ruins of Tintern Abbey. From Tintern we caught a bus back to Chepstow, waving goodbye to another memorable Wye valley adventure. Enter your email address to subscribe to notifications of new posts.